Is your favorite color rainbow? The Saguaro’s open, colorful, communal, and fun vibe is for you. Meet your fellow attendees poolside, in the El Jefe tequila bar, or next to the fire pits on the patio. Because this is the only property that will be 100% Alt Summit attendees, feel free to strike up a conversation with everyone you see! Classes will be held in two different meeting rooms, plus more will be happening in the outdoor courtyard. Guest of the Saguaro will receive a 25% discount at the spa. There is a discounted resort fee of $16.50/night. Pick your room type and book here. 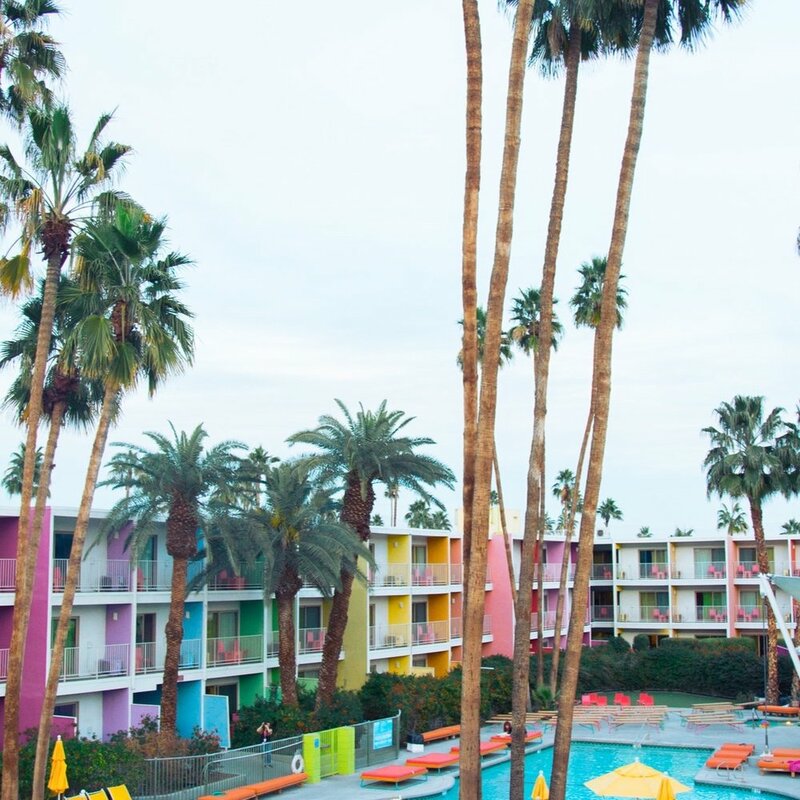 To book at the Ace Hotel & Swim Club, follow this link and use the group code ALTSUMMIT2019. There is no five night minimum. **The Saguaro requires a 5 night min stay. To accurately see discounted rates and availability, be sure to select your dates as Sunday, March 24 to Friday, March 29. Some are offering discounts for the few days before and after the conference as well. The Saguaro Hotel - 2 night deposit is required at time of booking. Full payment will be taken 14 days before the event. Cards that are declined will result in a cancellation of the hotel reservation. Rooms cancelled 31 days before the event will be refunded in full, if cancelled 14-30 days before the event, 2 nights deposit will be non-refundable. Within 13 days, no refund will be given.